The South West Monsoon has become active over Kerala causing heavy rainfall in the state. 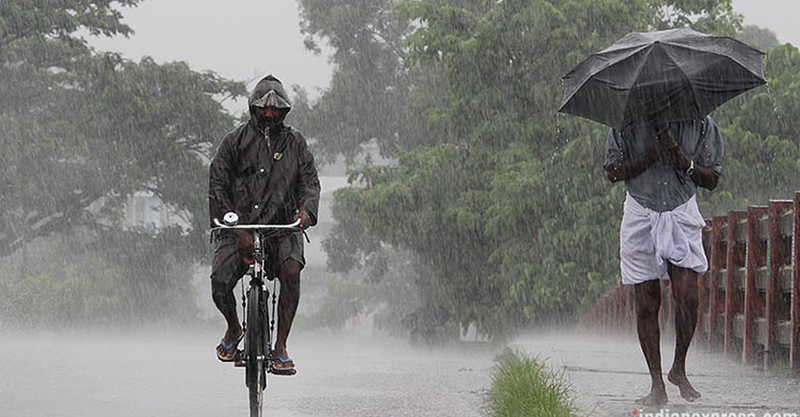 Widespread rains are likely to continue in the state in the next 5 days, Dr K Santosh, In charge, Indian Meteorological Department, Thiruvananthapuram, told PTI. Fishermen have been warned that strong winds with speed reaching 35-45 km per hour gusting to 50 kmph is likely to hit the Kerala and Lakshadweep coast in the next 24 hours from 2 pm today. The state capital recorded 45.8 mm rainfall as per the weather chart at 0830 hrs this morning, while airport received 35.5 mm rains. Airport Director said there have been no disruptions in flight services. Kochi airport recorded 51.8 mm rains, while in Kannur it was 30.2 mm. The Southwest Monsoon hit the state on May 28, marking the arrival of the rainy season in the country, private weather forecasting agency Skymet had said.